Erchless was once owned by Oakville's founder, William Chisholm, who passed it down to his son Robert Kerr Chisholm. The Georgian style house was named Erchless, meaning 'by the stream' in Gaelic, a reflection of the Chisholm family's Scottish roots. Erchless was the home and business of the Chisholm family for six generations. The Town of Oakville bought Erchless in 1976 to preserve it as a historical site. 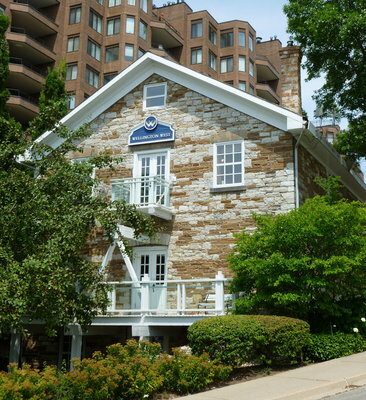 Since 1983, Erchless Estate has served as Oakville's Museum, located at 8 Navy Street, where it overlooks both the Oakville Harbour and Sixteen Mile Creek. 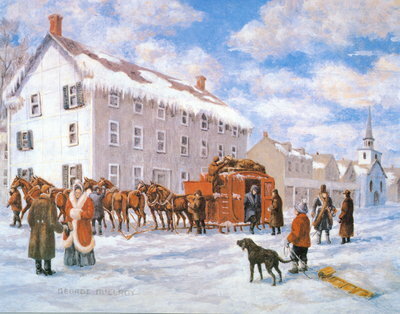 The estate consists of the Erchless family home, Customs House, coach house and the Old Post Office (Oakville’s first post office that was established in 1835). The Old Post Office was moved to Lakeside Park in the 1950s where it remains open for public tours. The Old Granary was located right on the banks of the Sixteen Mile Creek, close to where its mouth opened up to Lake Ontario. This made it the perfect location for receiving whole grains by ship, processing them, then shipping them back out to customers. The Granary still stands today, a valuable historic site which has since been renovated and transformed into a wealth management establishment. A tavern for the accommodation of travelers was essential in all pioneer villages. It was law that a tavern was to have three bedrooms besides those of the tavern keeper and his family, as well as stabling for at least four horses. 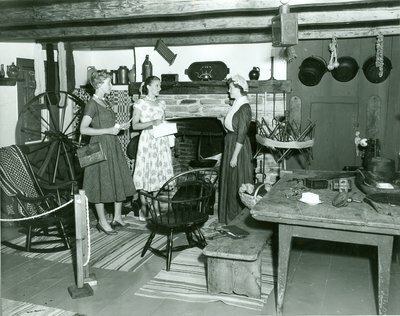 The Oakville House was the first tavern to be set up in Oakville, in fact, it was one of the earliest buildings constructed. William Young was the first proprietor of the Oakville House, which was owned by William Chisholm. 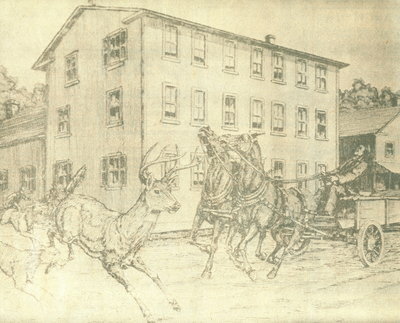 William Sumner bought the Oakville House from Chisholm in 1834.The image to the left is a drawing by George McElroy, depicting the Oakville House at an earlier time, when dogs chasing deer in the street was not uncommon. The new Oakville House on the corner of Lakeshore Road and Navy Street looks almost the same as it did when it was first constructed. 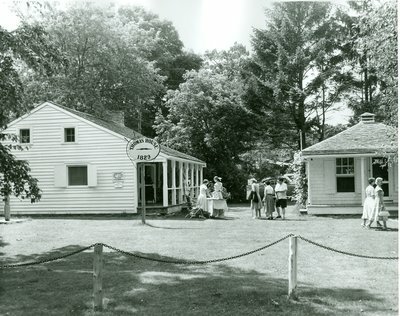 Pictured left is the renovated Oakville House as it appeared in 1985, almost 100 years after it was built. 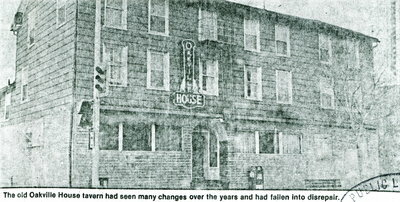 To the left is a modern photo of the Oakville House hotel. It has changed quite a bit since its days as an operational tavern, having been converted into a boutique and a restaurant, and the upstairs units converted into a fitness studio. 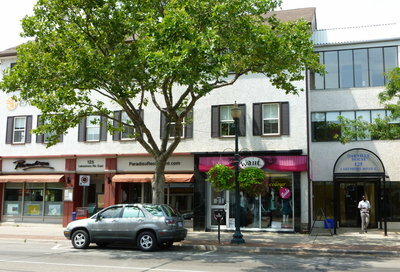 The awning on the right hand side still reads "Oakville House", paying a historical tribute to the building that now sits along the busy downtown Oakville streetscape of today. In 1835, William Weller took over the operation of the Telegraph Line, and became the proprietor of extensive stage-coach lines. Here, Weller Stage Coach transports weary travelers to the Oakville House. "Going by the cars" was an exciting and new means of transportation in the early 1900s. Rocking over loose-ended rails and swaying over wooden trestles in the little trains at lightning speeds was a thrilling experience. 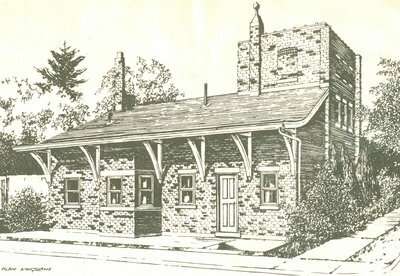 Pictured left is the old Oakville railway station, once located at the corner of Thomas and Randall Streets. Six trains, three going east and the remaining three going west, stopped in Oakville every day. According to the schedules, the trains travelled from Oakville to Toronto in 38 minutes and from Oakville to Hamilton in 32 minutes. 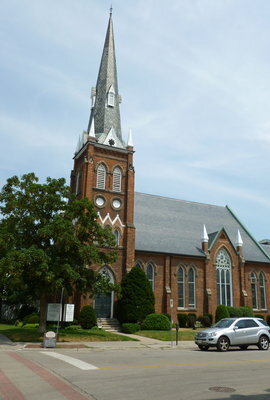 St. Andrew's Roman Catholic Church was named in honor of the patron saint of Scotland, St. Andrew, to recognize the contributions made by Scottish Presbyterians. Though the stucco which covers the original frame building is of a later date, St. Andrew's Church has had few alterations since the time it was built. 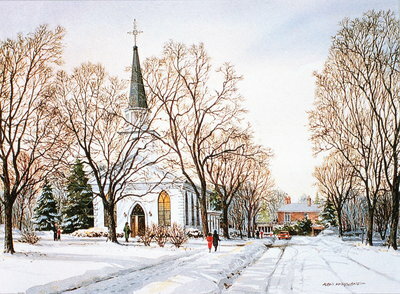 It is the only church in Oakville which survives in its original form, and is a charming example of the churches of Colonial design built in the western part of Ontario during the mid 1800s. In 1887, at the corner of Colborne Street (now Lakeshore Road) and Dunn Street where it remains today, Knox Presbyterian Church was built. The interior was lit with five gasoliers described as 'large and handsome', and plain gasoliers in brackets on the sidewalls. Rev. William Cochrane was the officiating minister at the time. Communion services began at 10am and continued until 2pm. In 1920, the interior was remodeled, and a stained-glass window depicting the Last Supper was installed. The church's interior as well as exterior architecture truly is a sight to marvel at. Knox remains a landmark in Oakville today, its bell tower reaching high up into the sky, visible from many locations in the downtown area. 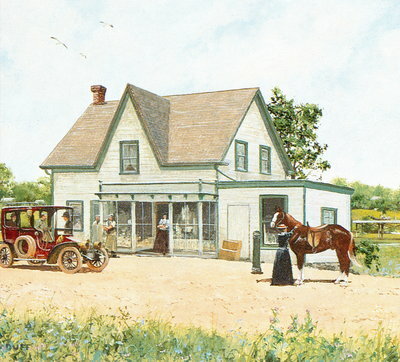 The Bronte Post Office, built in 1851, exists today as an art gallery. Rumor has it that getting the mail delivered in Bronte was difficult, because there was much dispute over who should be postmaster. The Thomas House was built by Merrick Thomas in 1829. This little white farmhouse features a grand stone fireplace, and is sure to charm visitors young and old. The Old Post Office was run by Bill Litchfield. He hired many local students to work during the Christmas break, and their help was needed. With unsealed Christmas cards costing only one cent to mail (seal it and it would cost you three cents), the volume of mail during the holiday season was tremendous! 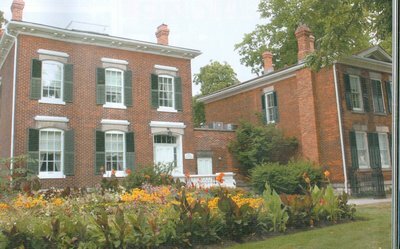 The Thomas House and the Old Post Office have been moved from their original locations to Lakeside Park, and are operated by the Oakville Museum and the Oakville Historical Society. Both structures were built in the early 1800s, but have since been restored to appear as they would have in their respective time periods. They remain open to the public for tours. The information on this page is credited to: Creighton, Sheila. The Oakville Book. Oakville, On: Rubicon Publishing Inc., 1993. Print. and to: Matthews, Hazel C. Oakville and the Sixteen. Toronto, On: University of Toronto Press, 1953. Print. and to: Peacock, David, and Suzanne Peacock. Old Oakville. Willowdale, On: White/Hounslow Productions, 1979. Print.